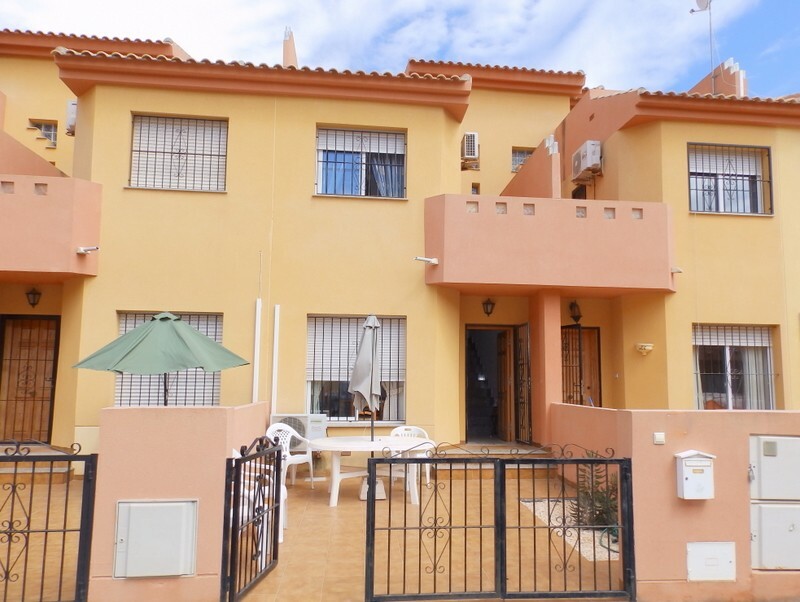 This very well presented 3 bedroom, 3 bathroom, south facing townhouse is located in Playa Flamenca and is within easy reach of all the local amenities, shops and restaurants. 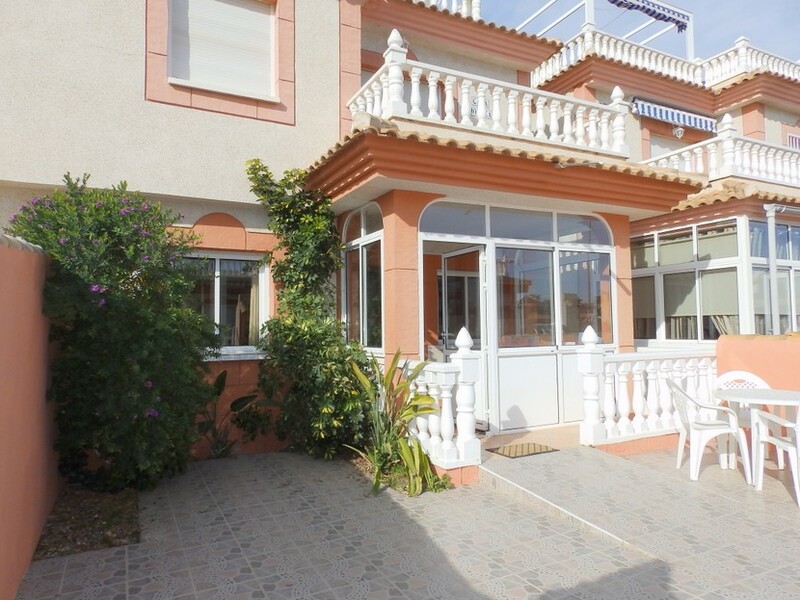 Situated in the heart of Playa Flamenca this property comprises of a front terrace with off road parking, large lounge/diner with open fireplace, independent kitchen, galeria and a shower room on the ground level. Upstairs there is a family bathroom with double sink unit and two double bedrooms, one with a sunny balcony. A second staircase leads to the master bedroom with en-suite shower room and large balcony with distant sea views. 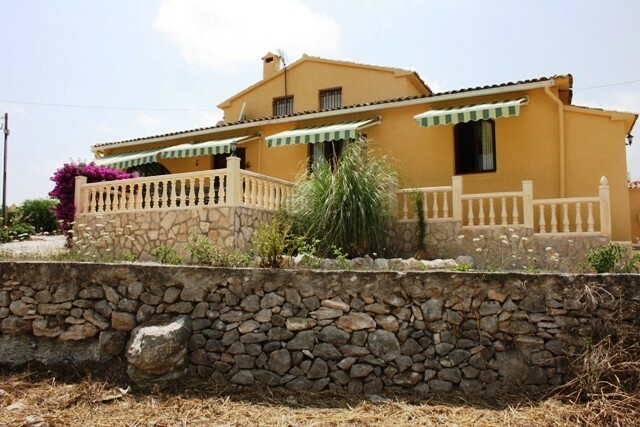 This property benefits from having the use of both an indoor and outdoor communal swimming pool, is fitted with hot and cold air conditioning and is to be sold furnished. 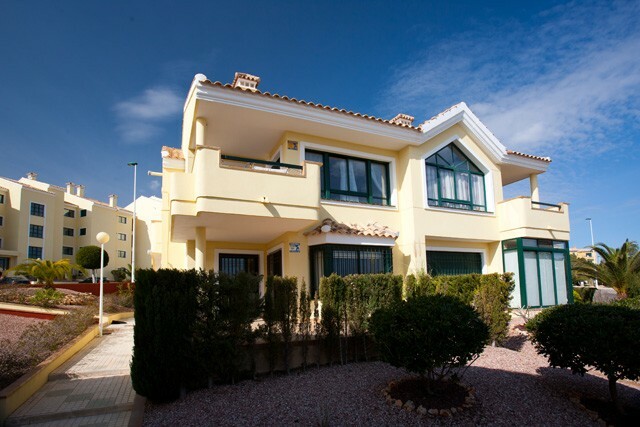 This property is in Playa Flamenca, Costa Blanca South which is within 1 hour drive of the new Paramount Studios Theme park in Spain.